Many Korean-Americans with ties to North Korea are “proud to be Americans, but they have black holes in their heart,” Ms. Cha-Hee Lee says. A friend of hers was trying to escape from North Korea by boat when the war began. As she loaded her luggage on board, her 5-year-old daughter and 7-year-old son played on the beach. When the North Korean army started to shoot, the boat abruptly pulled away and the water was too deep for the woman to jump off. On her deathbed, she asked her older son to someday find his younger brother and sister and ask for their forgiveness for having left them behind without food or extra clothes on a winter night. Ms. Lee spoke of another friend with Alzheimer’s disease. The friend doesn’t recognize anyone, but when her daughter mentioned the name of her son who was left in North Korea, she cried. She hopes these people can be reunited with their families. 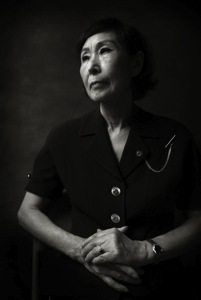 Ms. Lee was born in 1940 in Manchuria in Northeastern China, where her father was doing business. When World War II ended, the family decided to return to South Korea, but her father and oldest brother stayed to wrap up the business. Her father and brother were trapped in Manchuria and only could go to North Korea. When the Korean War broke out, the North Korean Army took her oldest brother to fight, while her other brothers fought for South Korea. Ms. Lee came to the United States in the 1980s to study and ended up staying. In 1988, she returned to her birthplace in China, and learned that her father and brother went to North Korea and lived there. Like other Korean-Americans, she once feared revealing any connection to the Communist country. But after the South Korean president visited the North Korean capital of Pyongyang in 2000, she decided to correspond with other former North Korean residents now living in the United States to talk about their divided families.